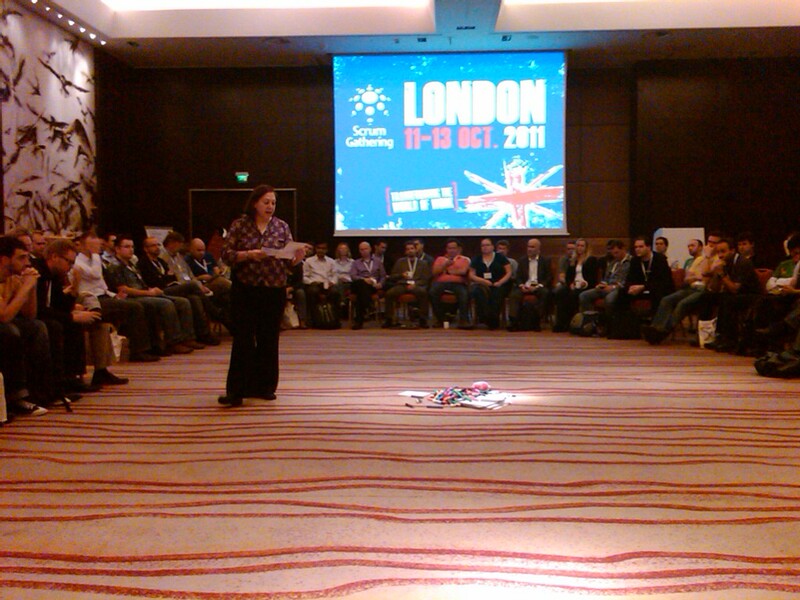 Just a few words about the Scrum Gathering in London, October 11-13, 2011. I was honored to be selected to present a session: Getting Beyond Yes: From Cooperation to Collaboration. This was the first opportunity I have had to present this particular session and I was truly humbled (and stoked!) by the extremely positive response from the 40+ attendees. In this session, which appeared in the ScrumMaster/Coaching track, I explored the key differences between cooperation and active collaboration on Scrum teams using the Thomas-Kilmann Conflict Mode Instrument as a hook into the ways in which people respond to intra-team conflict. The punchline is that as teams move from Norming toward Performing on the Tuckman model, individual team members learn how to break out of defending fixed negotiating positions and instead move into what Jean Tabaka calls Constructive Disagreement, which is the essence of collaboration. Cooperation modes tend to follow the path of least resistance, whereas collaboration, with its inherent friction, leads to breakthrough innovation. It was a fun session with quite a bit of good discussion and problem solving. I appreciate everyone who attended for contributing to our shared success! I was extremely fortunate to be scheduled in the first session time slot on Tuesday, so the rest of the week in London was low-stress and extremely fun. 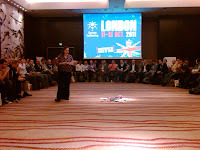 The sessions I attended were of generally high quality and the conversations were top flight. 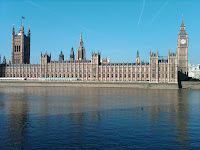 This was my first- ever visit to London, so sight-seeing was definitely on the agenda after the conclusion of the conference! 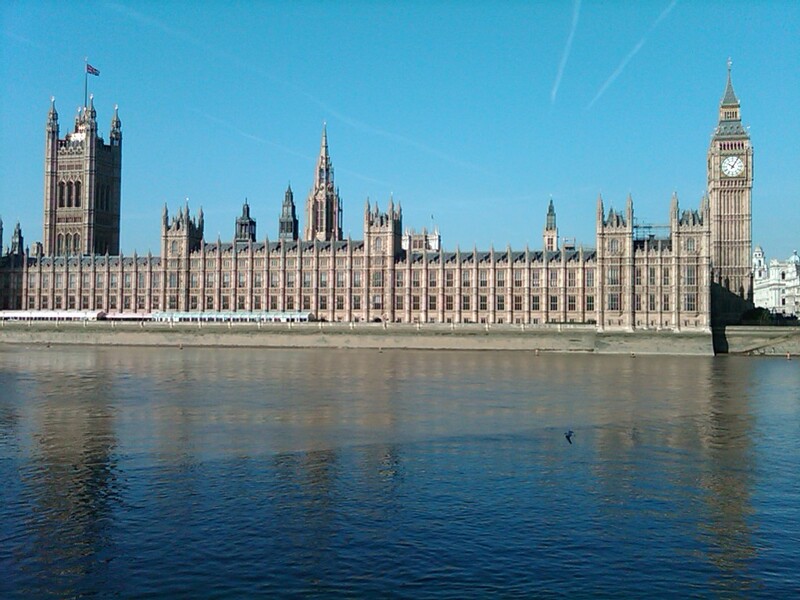 London is (no news to anyone who has been there) an amazing city with incredible history, wonderful museums, and interesting walking. Narrow sidewalks and fast-moving buses and taxis literally inches away added a little additional excitement to several city walks. And to top it all off, the weather was great most of the week! If you’ve never attended a Scrum Gathering, Agile Alliance conference, or local/regional agile conference, I highly recommend the experience. Presenting, participating, meeting old friends and making new ones are just some of the many benefits.